Looking for a peaceful and quiet holiday - here is your place. 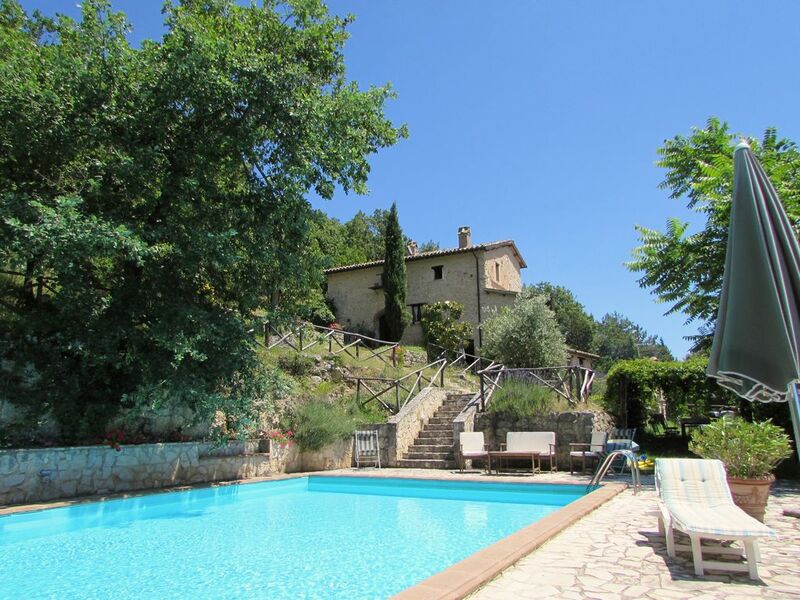 Rustic, authentic Italian property in idyllic surroundings. Quiet, peaceful and homely. Clare the owner was an excellent host, helping out with ideas of where to visit and whee ti eat, always there if she was needed Hidden Umbria is beautiful and stunning, so lush and green.. We had a great time and visited the different villages and towns, without too many tourist distractions . This was my first visit to San Mamiliano and I absolutely loved it. It is the ideal place to chill out and enjoy the stunning scenery. Although hidden away up winding country lanes it is close to good local restaurants and Spoleto. The sound of birdsong is wonderful, the views breathtaking and there were so many beautiful butterflies in the pretty garden. The villa itself is spacious, comfortable and full of rural charm. Clare and Mario are the perfect hosts and ensured that all our needs were taken care of. I definitely want to visit again! This was not our first vacation in Italy, but this lovely home with many unique features was a great base to discover medieval towns and villages. It's in a small village just a few miles from a highway going to Spoleto, about 10 miles away, and Assisi. Some days we planned walks in the hills, looking for wild asparagus, enjoying mountains flowers. A riding stable nearby offers day rides into the mountains, with luscious lunch. A highlight of our stay was a cooking lesson with a local chef who taught us how to make ravioli. We plan to come back in the fall to see the colors of autumn and sample new wine and the local olive oil. A beautiful stone character house, tucked into the Umbrian hills. Divine views, from every window and hectares of land surrounding with wild flowers,natural landscape and privacy. A superb 14 th century village a few doors from here, total population 14 people delights with the church bells ringing on the hour from 7 am. Magical! There are huge fireplaces for the cool winters but a fabulous pool for the summers. Two apartments give space for four couples or more and two kitchens, if required are perfect for the keen chef. We ate at several local trattorias and osterias for not only super food but excellent prices. There are many varied ristorante to choose from. A memorable stay, a true Italian style villa with comfort, charm and character and unforgettable views! We look forward to seeing you again next year Stephanie!